Jacaranda Day is back - bigger and better than ever! The countdown has officially begun to the hottest event of the year! You heard it here first - Jacaranda Day 2018 is going down on Saturday 2 June. Martin Bester broke the exciting news during the breakfast show on Monday - and so the countdown to the biggest concert in Gauteng begins. Martin Bester is giving away 100 tickets on Breakfast with Martin Bester this morning. One of the artists we're very excited to see perform is Jo Black! 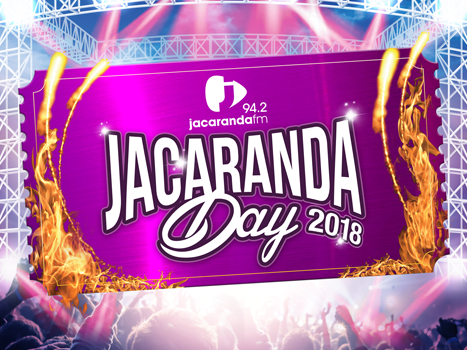 Head to social media, name one artist onthe line up and hashtag #JacaDay and #JacaBreakfast.